As I’ve said before on the pages of this site I love wireless technology! 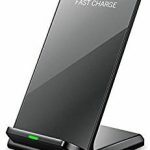 I’ve written about a number of wireless products that I use on a regular basis such as my AYL Bluetooth headphones, Logitech Wireless Keyboard, and my Logitech Wireless Mouse. 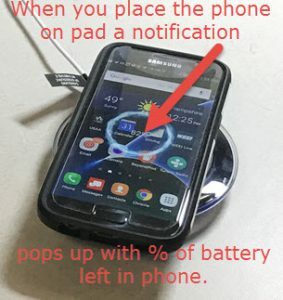 So, let me get this point straight, you need to plug the charging pad in but when you place your cell phone on top of the pad it charges automatically with no wires between the phone and the charging pad. If you have a Qi-compatible Samsung Galaxy device, such as a Samsung S7 like I do, it works like a charm. One of the things that I always have to check when I was charging my phone in the past was if the plug was in the right way. 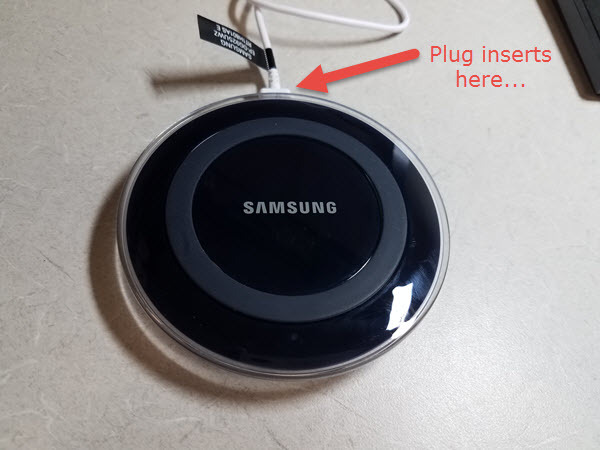 With a Samsung, unlike an iPhone, the plug must be inserted properly. With the Samsung Wireless Charging Pad you just have to insert the charging plug once into the charging pad and then you’ll never have to insert it into your cell phone again because of the wireless charging. 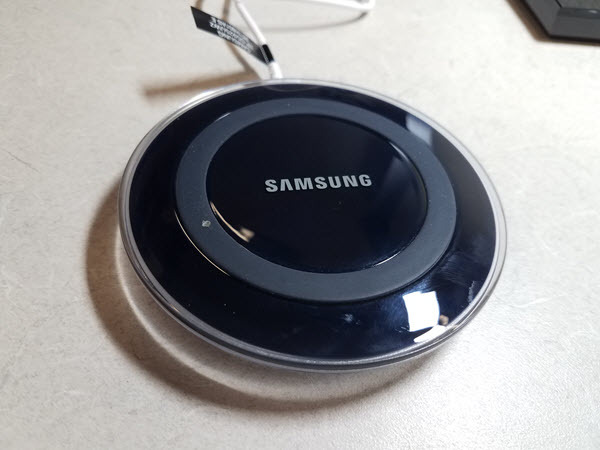 Samsung Wireless Charging Pad in my office cubicle. Still operates through an OtterBox or other phone cover. 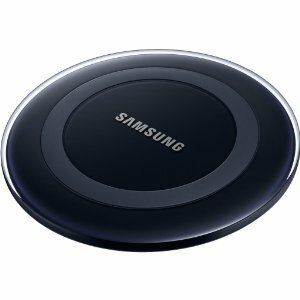 If you think you could use a Samsung Wireless Charging Pad at home or in your office, I don't think you can go wrong. This is a gadget that is not only really cool but it's also extremely practical. 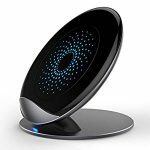 No more will have you have to mess around with inserting the charging plug into your phone. 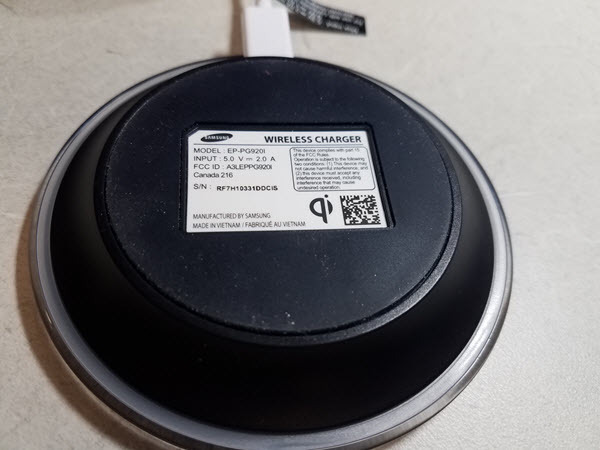 Once you go wireless you'll never go back! If you have any questions or comments you can leave them in the comments below or use my Contact Me page! Bought yhr Samsung wireless charger for my Galaxy S6. It worked about a month and hasn’t worked since – waste of money. That’s a shame because mine has been working well for many months. My boss gave it to me during the holidays and I’ve been using it since he gave it to me. You should definitely contact the seller and I’m sure they will replace the charger for you.